As a valued member of The Working Dancer, you're eligible to receive a 30% discount on ALL of our products, services, and events. Simply enter the month's promo code at checkout to take advantage of your discount. Check back regularly as the code changes each month. 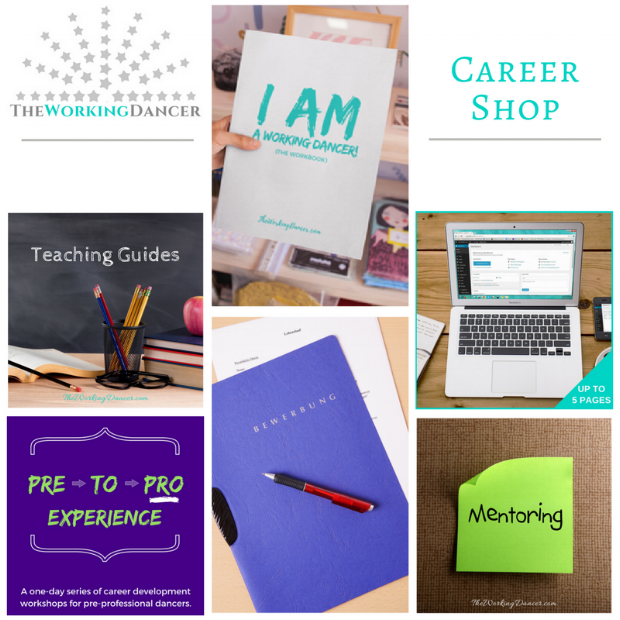 Click the image below to visit our 'Career Shop', and use your member discount today!